F colour, VS2 clarity, Ex cut, VG polish, Ex symmetry. 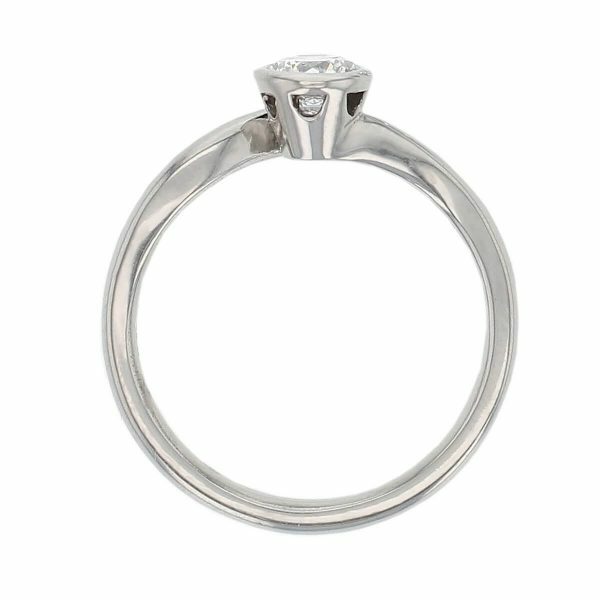 The band flows up to and around the rim setting of this platinum engagement ring. 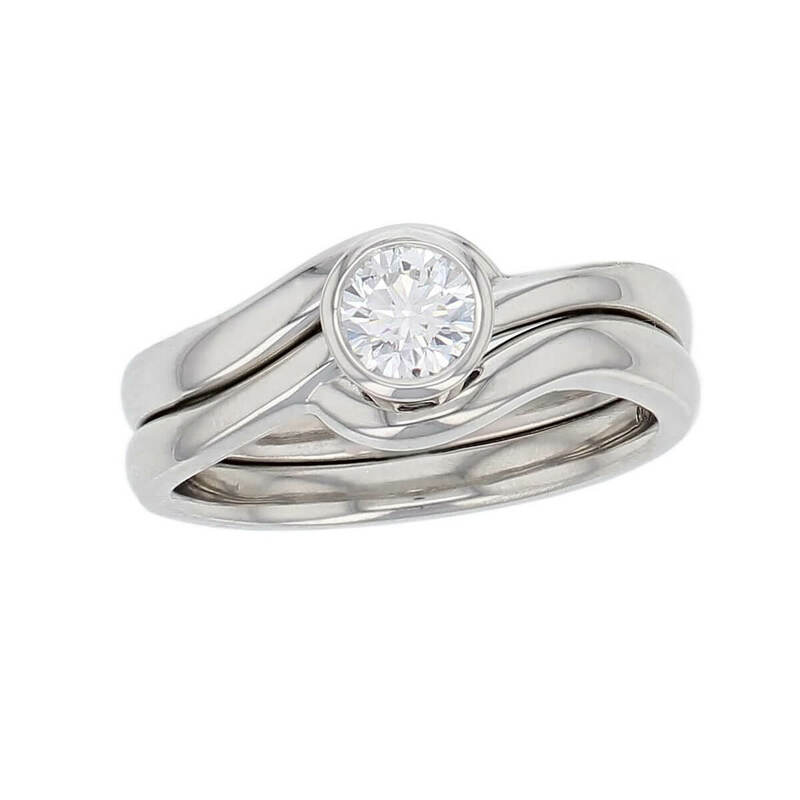 Elegant in itself, it is completed by the matching wedding band. Size K 1/2 – can be adjusted to fit a range of finger sizes. 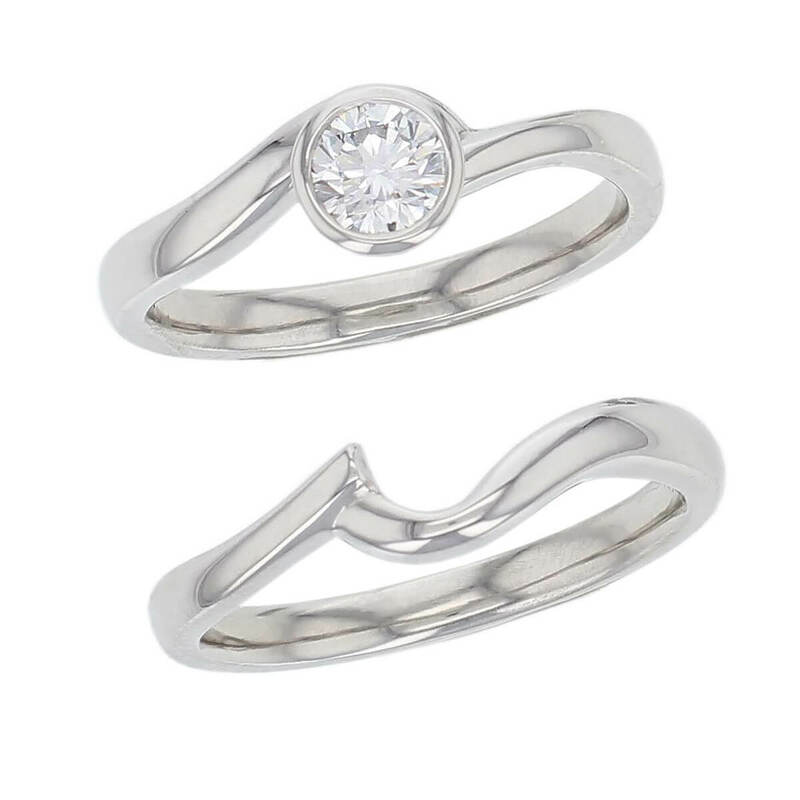 These rings are supplied with the engagement ring’s G.I.A. 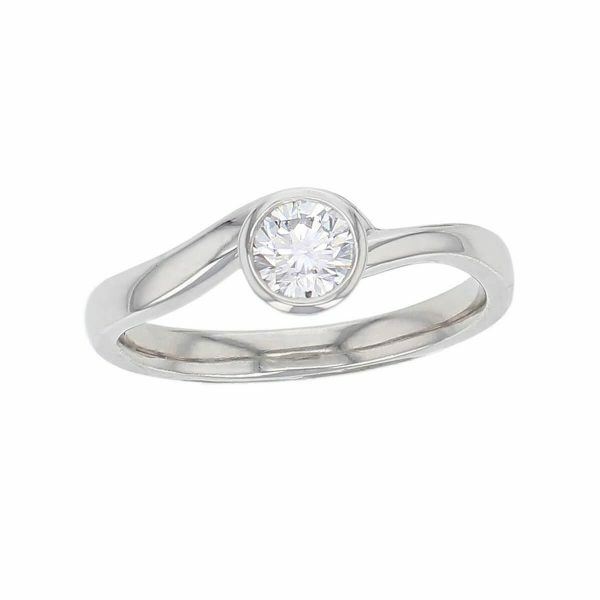 Diamond Dossier and with a Faller Appraisal :- a detailed description of the rings and their value, along with photos of the rings.